Enjoy our award-winning wines at either of our locations. We are a small farm winery nestled in the rolling hills of Kentucky. 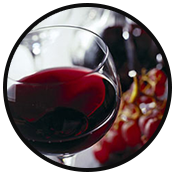 Our focus is to provide hand crafted wines that have character and quality. We look forward to serving you the best that our vineyard can produce. Whether you prefer a Chardonnay or a Cabernet Franc, our selection of estate wines is sure to please. Come enjoy a glass at our winery or take home a few bottles to share with friends. In addition to our estate wines we also proudly serve a variety of hand picked cellar wines from around the world, Kentucky Bourbons, and regional and local craft beers. Our vineyard in Verona is on the site of the historic George-Vest house and farm. 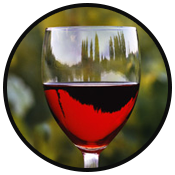 Verona Vineyards at Rabbit Hash is situated in the historic Ironworks building across the street from the iconic Rabbit Hash General Store. Learn about the history of our main location in Verona while enjoying a glass of wine, beer, or Bourbon in our comfortable tasting room. The Estate Bistro is always serving a gret variety of food specifically designed to compliment our wines. The expansive grounds are the ideal setting for a corporate event, special get together, or private wine tasting. We are a family owned business and have established Verona Vineyards to produce estate wines that are unique and distinguished in this area. 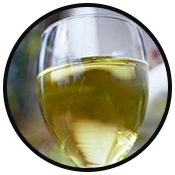 We are working to provide a great value through growing, crafting and bottling wines that are exciting and provide a great tasting experience. We are proud to offer a 15% discount to all first responders and active and retired military personnel. Monday: 12:00 p.m. – 5:00 p.m.
Wednesday: 12:00 p.m. – 5:00 p.m.
Thursday : 12:00 p.m. - 5:00 p.m.